The Geman Deng have not been included as part of any nationality by the Chinese authorities. Instead, they were included in a list of Undetermined Minorities which contained 881,838 people at the time of the 1990 census. Neighboring groups may call the Geman Deng Ahman. Chinese state television has produced a documentary on the Deng, who claim to have lived in their corner of Tibet since the beginning of time. The Deng's recent history has been one of oppression by the Tibetans. Formerly, the Deng were not even allowed to leave their area without permission from the Tibetan lamas. 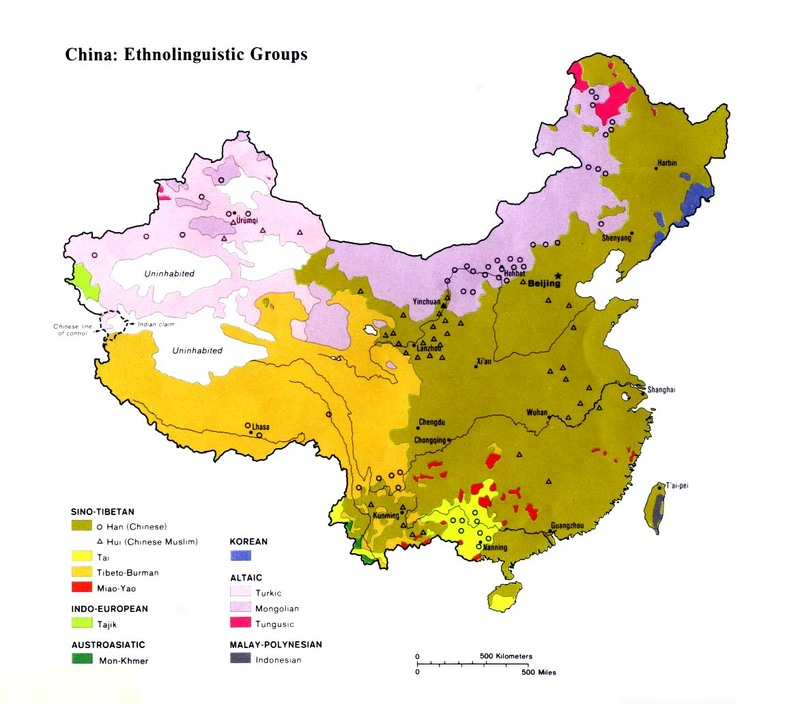 Deng people with the same name or blood ties live and work together in their villages. Most of the work is done by the Deng women. The women have a striking appearance, including a "silver hair band with engraved flowers over thick hair worn loosely on front of the top of their head. They are fond of big cylindershaped earrings with whorl patterns. Their clothes are richly decorated with agate, coral and jade ornaments as well as elaborate boxes of silver or gold in which they keep a copy of the Buddhist scripture. If a woman wears long strips of silver coins on the front of her blouse, she is from a wealthy family and has higher status than other women in the family." The Deng fear a variety of ghosts and demons. They believe they are able to temporarily calm the anger of these spirits and so, at appointed times, offer sacrifices of chickens and animals. This killing of valuable livestock has resulted in the Deng being trapped in dire poverty. Deng families often go into heavy debt to pay for the services of a shaman. This group is one of the most difficult peoples in all of China to reach with the gospel. Their communities are only accessible by boat or on foot. A handful of Geman Deng in Myanmar have been evangelized by the strong Rawang church, but so far there are very few or no among them. Most Geman Deng in Tibet are without a witness. There are reports a few Gemang Deng in China have become followers of Jesus Christ. Scripture Prayers for the Geman Deng, Miju Mishmi in China.